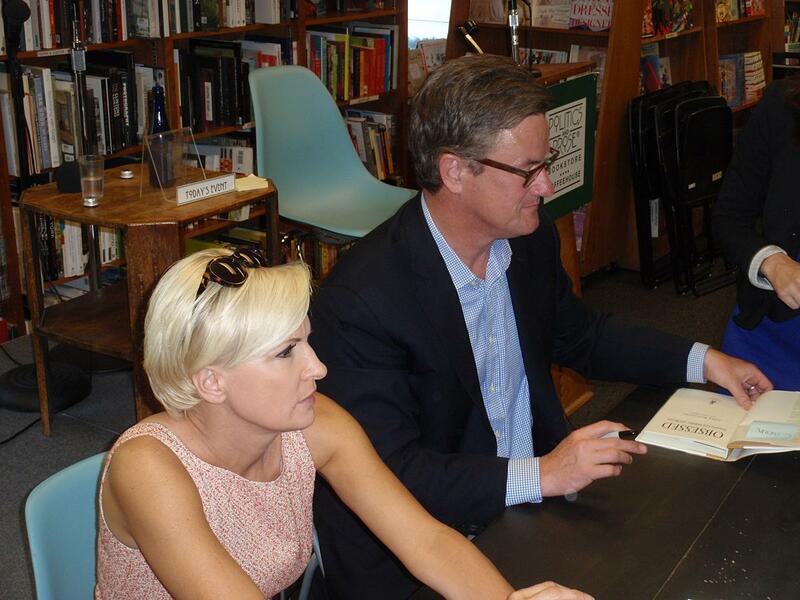 Jim & Diane went to politics and Prose in Washington, DC on May 9, 2013 to see Mika Brzezinski & Joe Scarborough discuss Mika's book Obsessed. 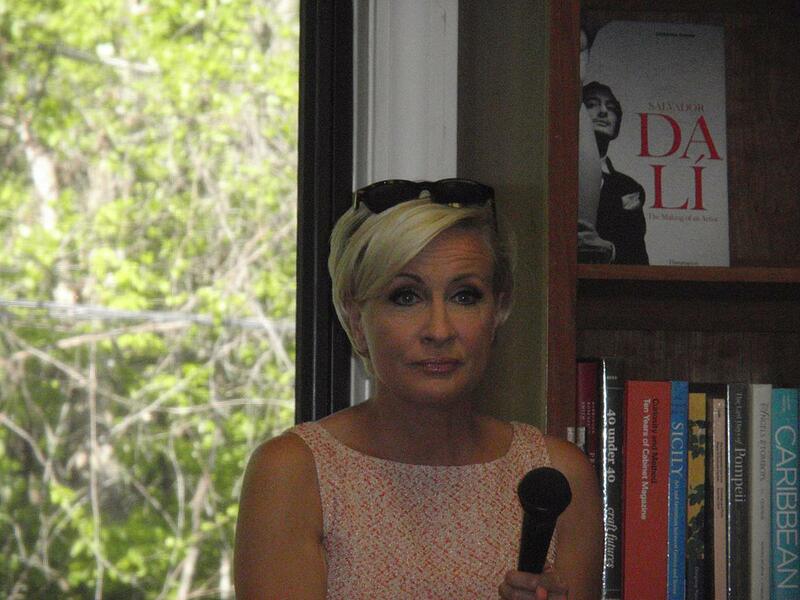 They spoke for almost an hour about the book, which was written with her friend, Diane Smith. They both were Obsessed with food but it manifested itself in different ways. 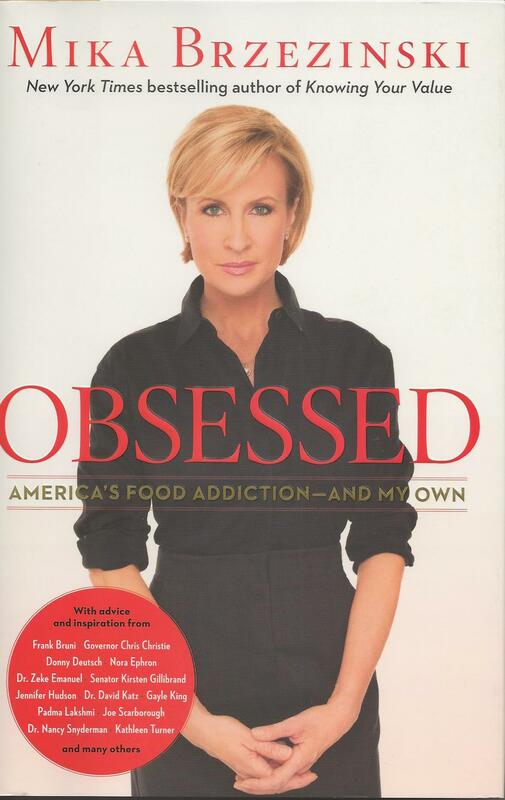 Mika starved herself and over exercised to stay thin and Diane gained 100 pounds in their 15 year friendship. 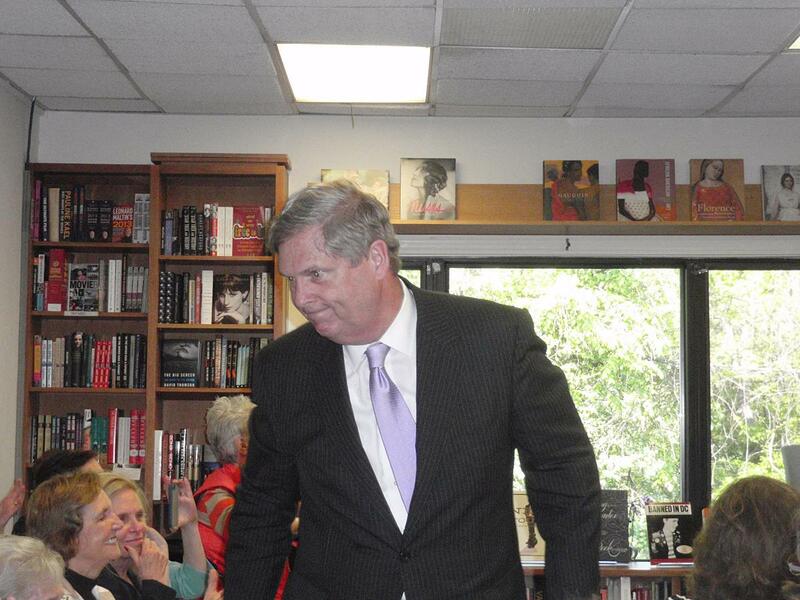 During the conversation, Secretary of Agriculture, Tom Vilsack dropped in. He told how his department is trying to get fresher and healthier foods in our schools. 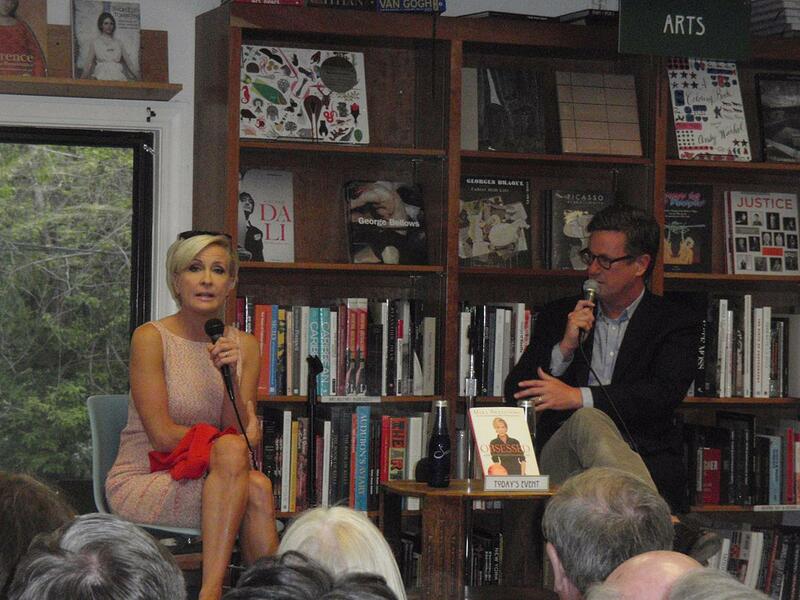 Mika & Joe work very well together. 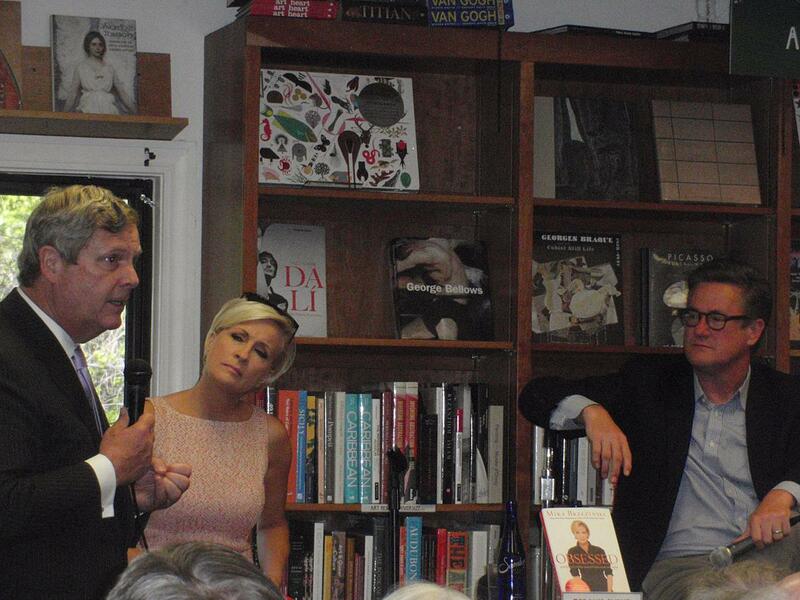 It was a very enlightening & entertaining evening. 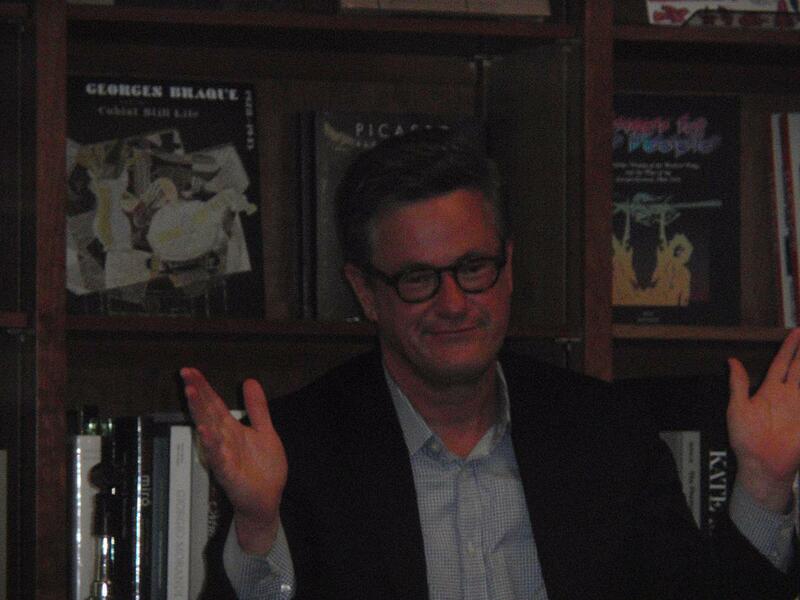 After the talk, they both signed books for the crowd. 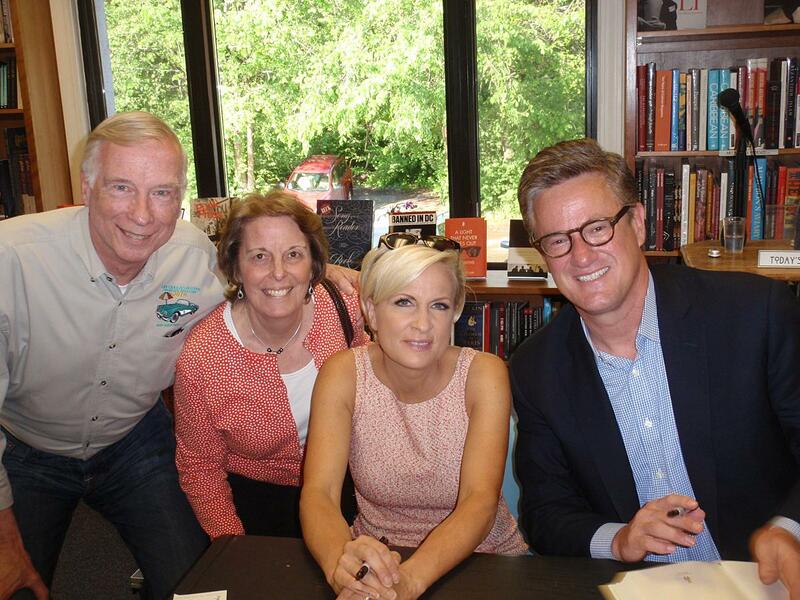 A few of us were lucky enough to get a picture with Mika & Joe.